Notice the background. Construction on the Golden Gate museum seems to be taking museum. 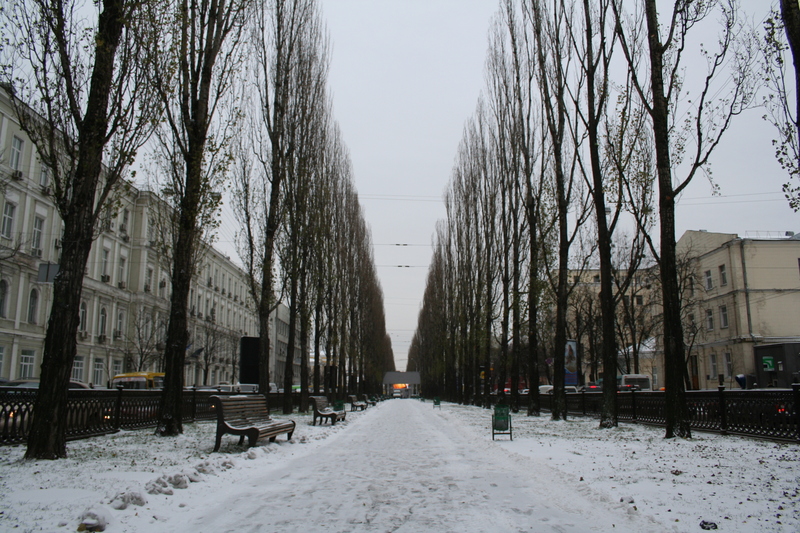 I anticipate fewer cars on the streets when the snows get really heavy. 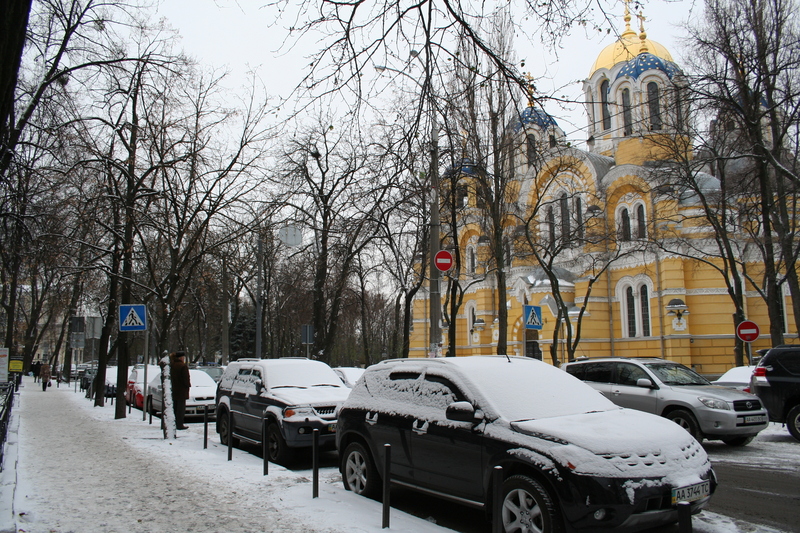 At a minimum, it will be harder for cars to drive up to the antique doors of St. Volodymyr's Cathedral and park there, obnoxiously. 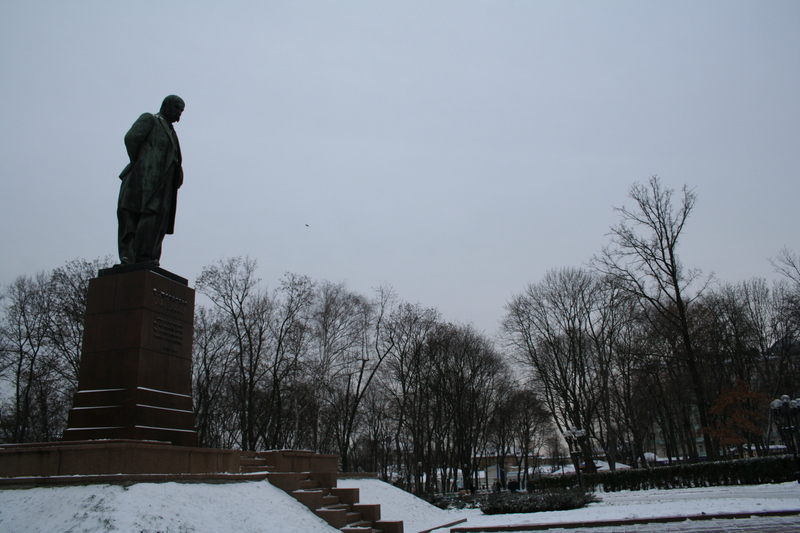 The middling park leading up to the statue of Lenin overlooking the main shopping street, Khreshatyk. 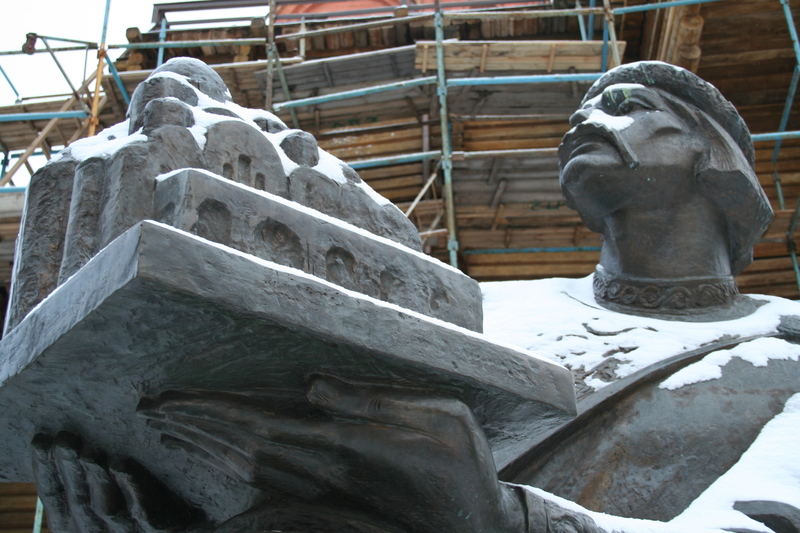 The guardian of Taras Shevchenko Park, facing the main building of the national university that also bears his name. 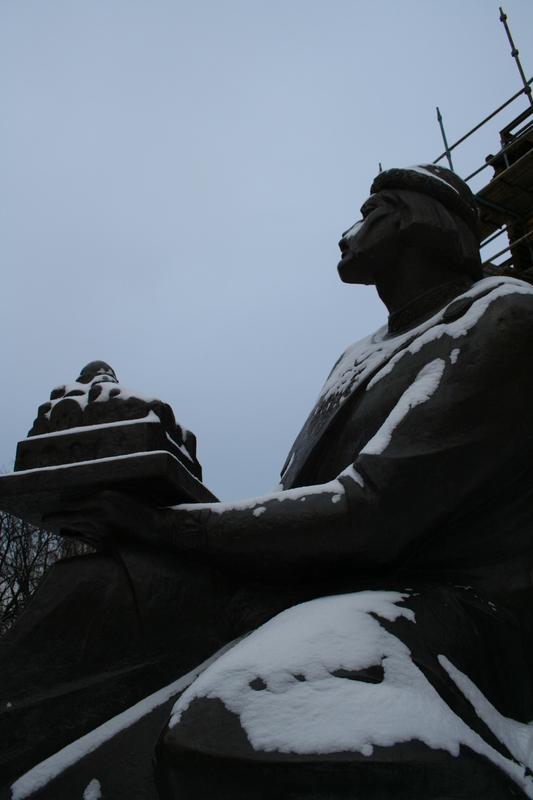 This statue of a fisherman stands by the park's pond, long since drained. Trails in the snow suggest dogs, children still play here from time to time. 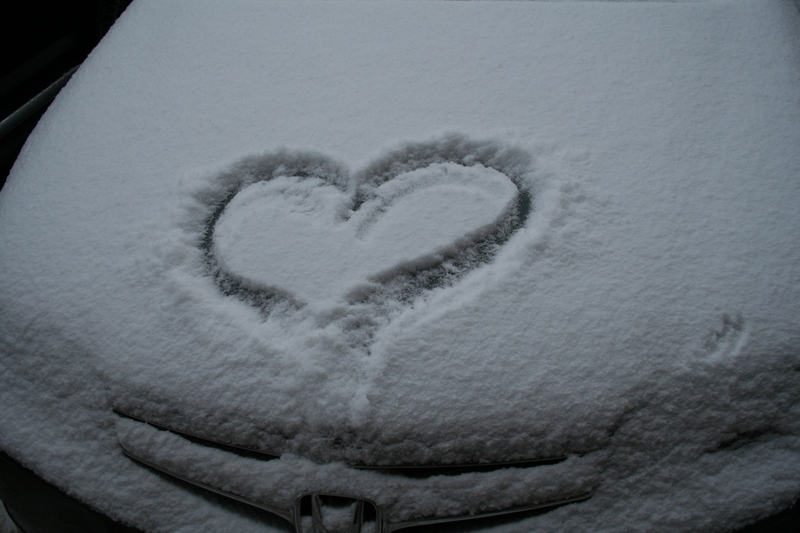 A heart on the Honda of an oligarch. 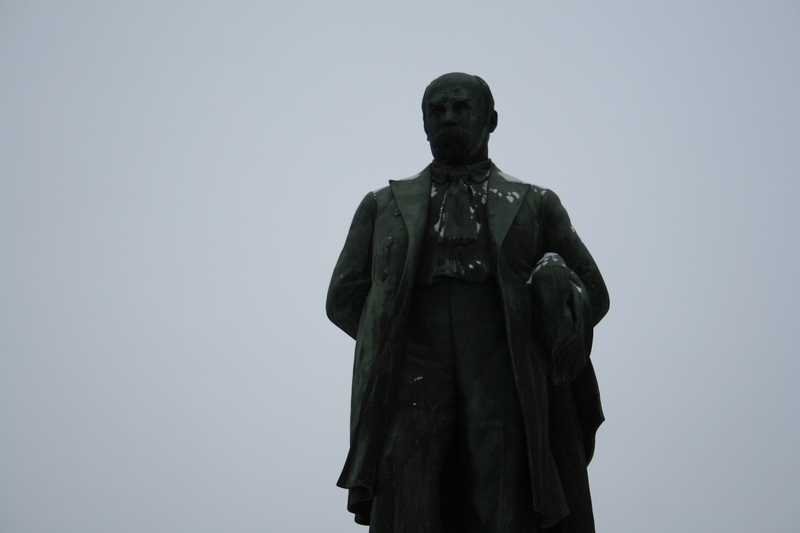 It was scraped off soon after I took this photo. This entry was posted on December 4, 2010 by Zach. 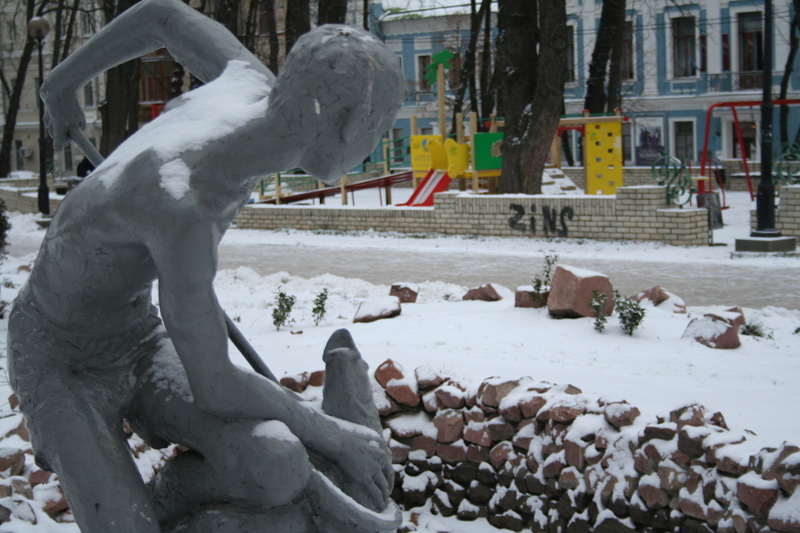 It was filed under Uncategorized and was tagged with kyiv, photo essay, ukraine, winter.